In other words, tracking your calories is a great way to boost your results. Portion Confusion. Manufacturers tend to keep their serving sizes low so that you interpret the product as being healthier for you. By tracking your calories, you will no longer be tricked by the cunning food marketers and will eat more reasonable portions because of it. Hidden Carbs. If a label says it has zero carbs, this doesn’t necessarily mean that it has absolutely no carbs. It means that there are less than 0.5 grams of carbs per serving. Anytime you see 0 grams of carbs on the nutrition facts label that has a sugar-containing ingredient on it, it is best to assume that it has 0.5 grams of net carbs per serving. Delusional Beliefs. When we are not measuring and tracking the foods we eat, we tend to underestimate how many calories we are actually consuming. We are wired to eat as much as possible when food is available, and calorie tracking is the perfect way to mitigate those primal responses to food. These are the main reasons why some keto dieters don’t get the results they are expecting. Luckily, as long as you use a calorie tracker like MyFitnessPal or Cronometer, you won’t have to worry about any of these issues getting in your way. 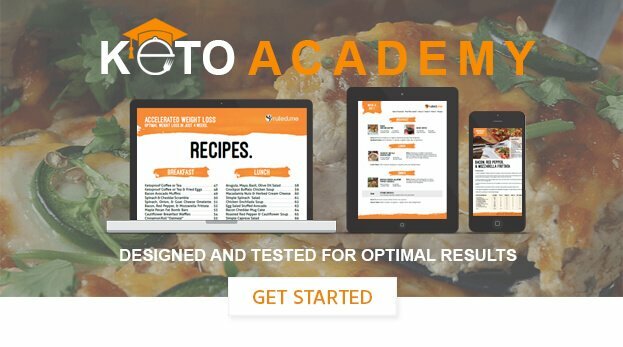 To learn how to track calories and carbs on keto with these calorie tracker apps, check out our guide on how to use them for keto.